This movie was about the beginnings of X-Men. 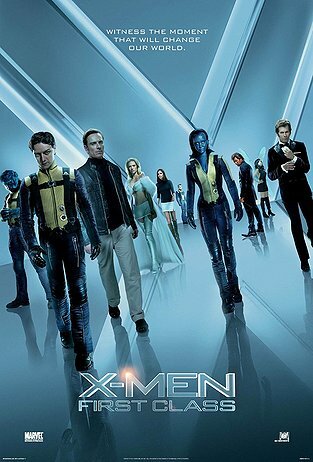 It tells us about the beginning of the mutants and especially the friendship between Charles Xavier/Professor X (a charming James McAvoy) and Erik Lensherr/Magneto (an impressive Michael Fassbender). They even become close friends and Professor X helped Magneto harnessed his power through other emotions other than anger. Due to differences in visions and ideologies, alliances were then formed between the heroes and villains of the X-Men universe. The story plot did a great job incorporating historical events as well as portrayed a convincing 1960s motif. Bring on the prequel II and III. James McAvoy and Michael Fassbender on-screen chemistry is electrifying in every scene they were in. Jennifer Lawrence was a perfect fit for her role. January Jones was an eye-candy and as hot as she can be. I just never realized how blue and mesmerizing James McAvoy’s eyes are. Make sure you pay attention to two cameos. Shhh, I’m not telling. 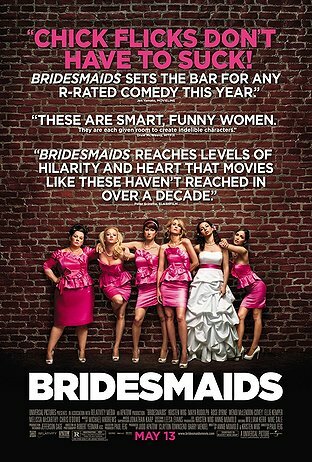 Bridesmaids is not your normal chick flick but I don’t understand the good review about this movie. It was a weak attempt to make a female version and smaller budget of Hangover. There are more eww-s and haha-s for me during the movie. The bridesmaids gown fitting store scene was gross. The jokes seemed forced. I am not familiar with any of the actresses in the movie except for Rose Bryne and Melissa McCarthy. Melissa stole every scenes she’s in. I probably should have waited for the DVD for this movie or maybe even not watching the movie at all.